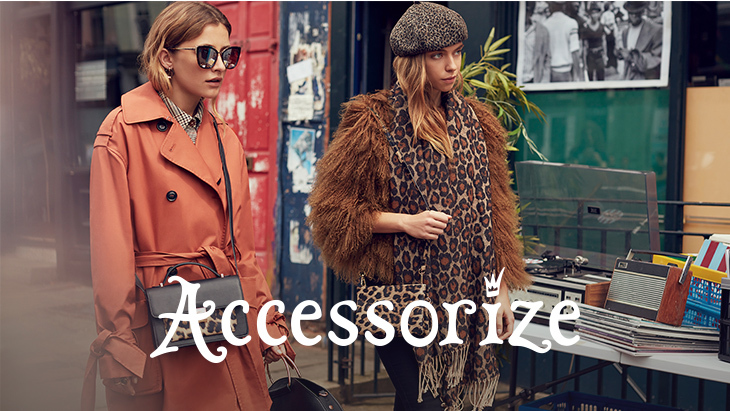 Accessorize is the UKs number one shop for scarves, bags, gifts, and of course, its enormous selection of jewellery. Bamboo Basket in an independent store that retails a unique range of high quality oriental products including teas, teapots and chopsticks. They also offer a lunch menu with options including soups, puff pastries and chinese dumplings. Prices start from only 60p! Barnes & Fadden home furnishings is a family run, independent furniture retail business located on the first floor of The Ashley Centre. With a combined total of over 60 years retail experience in the furniture trade, our friendly knowledgeable staff and delivery team are committed to serving the communities of Sutton, Epsom, Croydon, Redhill, Reigate and all surrounding areas. Our purpose is to provide good old fashioned, friendly service whilst meeting your demand for style, quality and comfort - all at an affordable price! Founded in 1849 by John Boot, Boots is by far Britain’s best known pharmacy and beauty outlet. 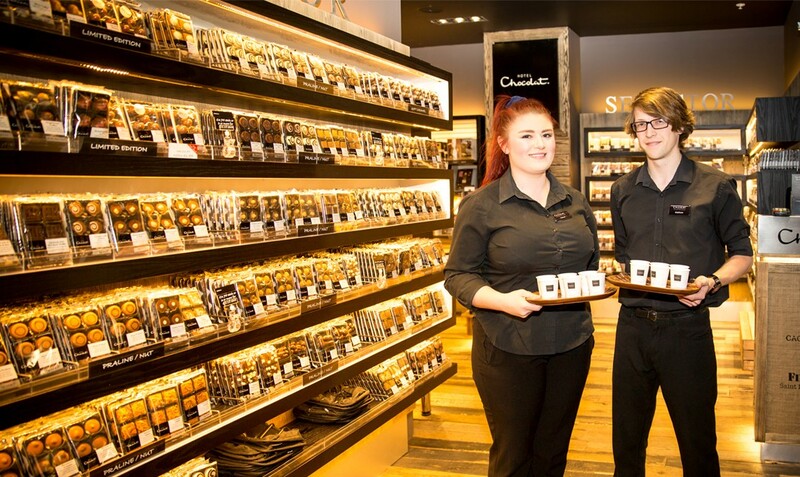 With stores on most high streets, centres and airports, Boots caters for all your health and beauty needs. In certain stores, boots offers its customers a own-brand pharmacy and opticians. A small independent chain of just four cafes in the Epsom area. Café Moka, believes that healthy doesn’t have to mean boring when it serves up its quirky range of breakfasts, brunches and lunches. Expect fresh ingredients, good service and a relaxing atmosphere when paying this quirky café a visit. Card Factory offers a massive range of cards and gifts, covering almost any occasion. It also provides pretty wrapping paper and gift bags to give your presents that extra sparkle. 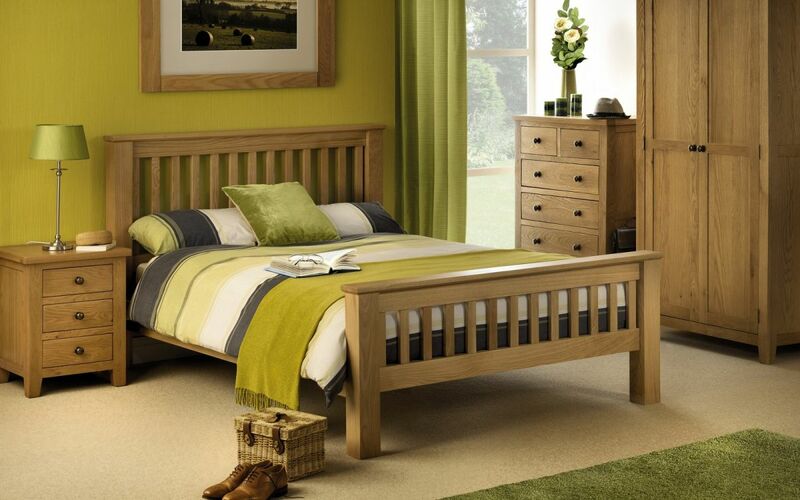 All these come at bargain prices which are generally lower than its other high street competitors. A mandatory stop on any teenagers shopping trip, Claire’s covers absolutely all of your accessorising needs. Hanging from its jewellery laden walls shoppers will be able to find whatever they need, be it up to date trends, fancy dress, silver and gold plated jewellery, bags or gifts. Claire’s also offers a professional and safe ear piercing service. Founded in 1825 by Quaker brothers, Clarks has held it’s place as the leader of the quality, affordable shoe market. Clarks offers a size fitting for your children’s first school shoes and keeps up this high standard of fit and durability through all of its ranges. When you walk into Costa at The Ashley Centre, Epsom, you'll notice it's different to other coffee shops. First of all, there's the warm and welcoming atmosphere. Then, the great range of authentic coffee drinks. Next, the Ferrari of coffee machines. And, finally, the most passionate and well trained baristas around. It's this unique combination that makes us stand out from the others, and we're incredibly proud of it. Formed as part of a merger between Orange and T mobile, EE has taken aspects from both to offer the public a communications service. Popular high street jeweller Ernest Jones has been specialising in high quality diamonds for over 60 years. It stocks upmarket brands such as Emporio Armani and Gucci as well as offering various discounts throughout the year. 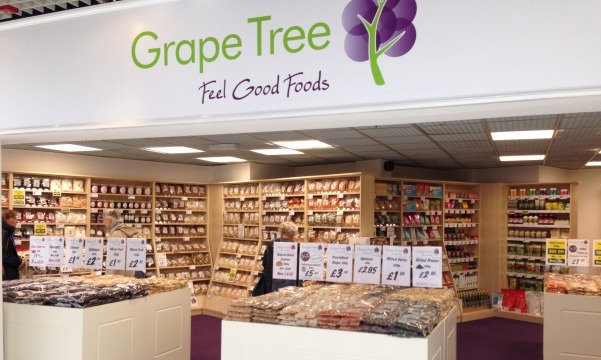 Health food store Grape Tree, has over 800 shops across the UK selling more than 600 lines including a variety of health foods, nuts, seeds, dried and crystallised fruit, snacks, confectionary, cooking and baking ingredients. Bursting on to the British High streets in the late 1970’s Hennes and Mauritz is the arrow head of affordable, ever changing high street style. H&M channels its Scandinavian roots through fresh, high fashion pieces and an extensive basics range. The children’s branch of the ever popular H&M, H&M Kids offers a good range of styles that rival their adult counterparts for fashionista credibility as well as good value and durability. Halifax offers its customers ATMs and in store banking services. A lovely little independent sweet shop. Hattys offers its customer the old fashioned experience with a range of jars, hampers, American sweets and chocolate as well as a fudge bar. Hatty also offers a gift customization service. What’s not to like? Holland and Barratt is the first name that comes to mind when considering natural food and medicines. It also offers excellent deals on its many items throughout the year. Jones has been making shoes and boots since 1957 and prides itself on offering quality shoes for shoppers who want something that will serve them for years. A regular on most high streets, it boasts a large selection of men’s shoes, sandals, heels as well the obvious boot. Lakeland is the UK's premier kitchenware specialist, offering a 4,000+ product range that mixes the innovative with the traditional. From the newest electrical devices to classic everyday utensils, there's something for everyone. Marks and Sparks, as it is fondly known, has a special place in all British shoppers hearts. It offers both quality and affordability on all areas of retail including men’s, women’s and children’s clothes, homewear, food and gifts. Master Cobblit is an independent locksmith that offers engraving and high quality shoe repairs as well. 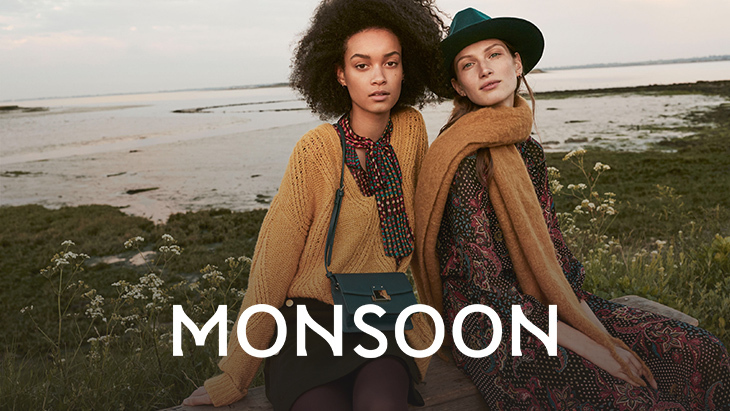 Sister brand to Accesorize, Monsoon sits at the higher end of the affordable clothing market and offers beautiful, well made garments with luxurious embellishment. Monsoon also boasts and impressive occasionwear range which even includes stunning wedding dresses. More than just muffins - Great food and premium coffee which just happens to also be ethically sourced and grown with love. New Look offers a varied range of ‘fast fashion’ styles that reflect the current fashion scene and are bang up to date. It offers a plus size range, petite range, an extensive jewelry selection and an award winning shoe department. 02 offers customers an extensive choice of mobile phone contracts as well as other communications services. Organico Real Foods is a UK company that was founded in 1992 by Charles Redfern. We started out as an importer of premium soft drinks and have sold Organic lines since 1996. Quest is a magical shop that specialises in spiritual health and well being. It hosts an extensive range of fantastical products such as crystals, tarot cards, silver jewelry, bath and body products, dream catchers, buddhas and an pagan range. Quest also offers an aura cleansing service. Skopes is a family owned and operated business established in 1948 by Sydney Cope. Sydney sourced cloths from Yorkshire's finest textile mills to produce high quality bespoke tailoring. Smiggle - Australia's most colourful stationery brand. This tiny but colourful store is filled to the brim with bright and bold stationery, bags, lunch boxes, accessories, gadgets and more. The UKs leading discount sports store, sports direct covered all of your athletic needs as well as hosting day to day clothing brands as well. Sports direct has large ranges of women’s, men’s and children’s shoes as well as a strong running range, all at competitively discounted prices. Enjoy hot coffees, cold frappacinos, fruit juices and hot and cold snacks all served by the expert baristas. Proudly sporting the famous mermaid logo Starbucks steps up to the mark and provides quality refreshments and quality service. A common sight on most high streets, Superdrug caterers for all your beauty and wellbeing needs with a large range of make up and beauty products as well as everything else for your everyday health needs. Superdrug offers this at generally lower prices than its other high street competitors and also offers a loyalty card scheme. Original barber's shop modern and traditional cuts, hot towel shaves. Special prices for seniors and children. Lollipops and cartoons while every young child has a haircut. Clients can enjoy a free coffee during their appointments. The Body Shop has become synonymous in British Households with quality, ethics and, of course, it’s brightly colored lotions and potions. 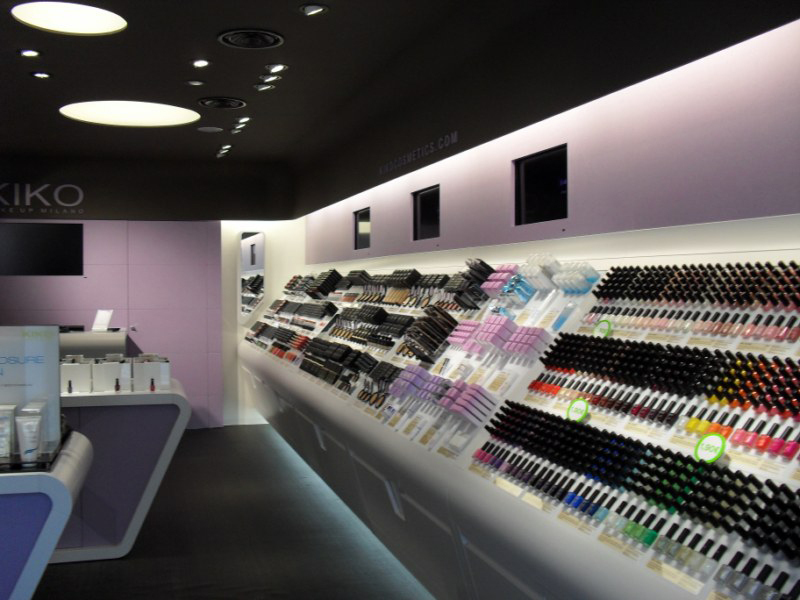 It offers it’s customers an extensive range of beauty products along with a high standard make up range. Hosting a good range of fresh flowers daily, The Flowersmith offers competitive prices and knowledgeable staff. The Works stock books, toys, gifts, stationery and arts & crafts at discount prices, and sell over one million of our products every week to consumers looking for a bargain. The Works in a one-stop-shop for all your stationary needs. Possible the UKs best known travel agent, Thomas Cook offers knowledgeable face to face service to help with booking package holidays, hotels and flights. Toy Barnhaus is an independent chain of toy shops based in Sussex and Surrey. We pride ourselves on offering a friendly and personalised service at all times, offering all you need for your kids all year round. Toy Barnhaus is owned and managed by Mark Buschhaus and Stephen Barnes. Get suited, booted and kitted out for any outdoor excursion at Trespass Epsom. We have a great range of items designed for a wide variety activities so you won't be caught short at our store. You'll be able to get everything you need under one roof and our helpful staff will be there to give you top-notch advice, as well as handy hints and tips for making the most out of your gear. •	We take vision seriously. Your eyes are precious, so your Eye Health is our first priority. Our expert Optometrists will take care of the long term health of your eyes. •	We guarantee total satisfaction from a wide range of eyewear using the latest innovations. We'll provide glasses and contact lenses that correct your vision, are comfortable to wear and allow you to live life the way you want. Vodaphone offers an in store, face to face service selling phone contracts and other communication services. By far Britain’s oldest Newsagent, WHSmith was founded in 1792 and has provided a quality range of stationary, books, magazines and gifts to the public ever since. A common sight on the UKs high streets, it is often first choice for customers wanting guaranteed quality and value for money. Smiths, as it is knows, also sells drinks and confectionary. 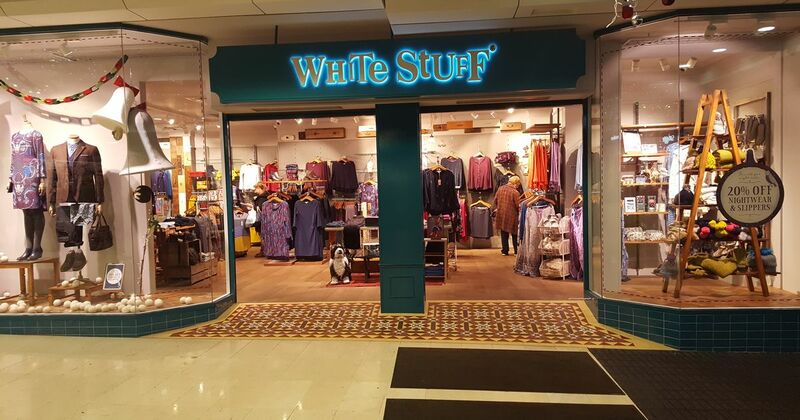 Each White Stuff shop is unique. More than simply housing their beautiful products, they are places where people can meet and socialise. Some are tiny, some are huge but inside all of them you'll find cheerful shopkeepers, a warm, friendly atmosphere and a decent cuppa. We don't like to boast, but our shops are also (ahem) award-winning.